I am using emacs for OSX (GUI, not the terminal). I use desktop-save in order to save my workflow when closing emacs. All works fine except when I use OSX virtual desktop: if I open emacs in "Virtual Desktop 1", I create a new frame, I place it "Virtual Desktop 2", I use desktop-save, I quit emacs and then I open it again, then the two frames will be opened in the current virtual desktop and not the first in "Virtual Desktop 1" and the second in "Virtual desktop 2", as I would like to happen. In order to avoid ambiguity I insert an image that clarifies what I mean with "Virtual desktop". The image portrays macOS 10.12 with 11 virtual desktop, the first two with emacs opened. It seems there have been some changes in 10.12 with the introduction of the 'tabbed' windows option which can affect emacs. I found that when I created new frames, they were on the same 'virtual desktop' where previously, they were on a different virtual desktop (when doing so in fullscreen mode). I found that this was because of a new option under the dock preferences. The option has the title/text "Prefer tabs when opening documents" and was set to "In full screen only". Changing this to "Manual" has restored the previous behaviour. Not sure if that will fix your issue, but may be worth giving it a try. Not the answer you're looking for? Browse other questions tagged frames desktop or ask your own question. how to make emacs prompt me before closing the last emacs gui frame when running emacs as a daemon? 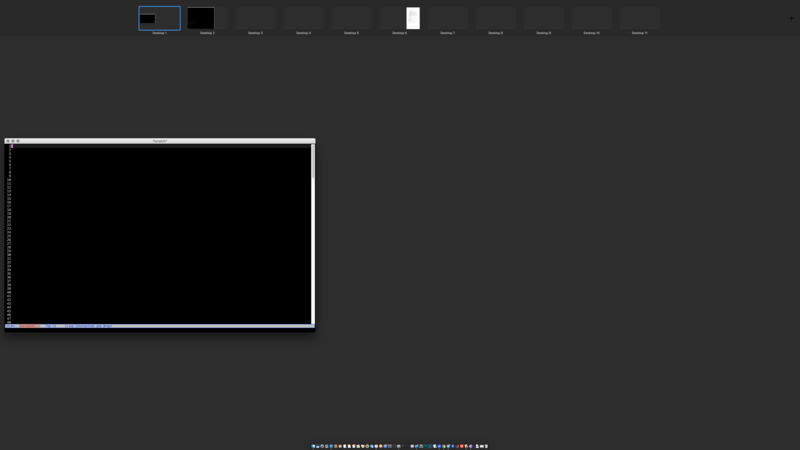 Count only frame opened outside of terminal? How to use multiple frame (C-x 5 2) within only one (system's) window in GUI Emacs? Restoring windows with Desktop when running Emacs inside a terminal?